A judge has ruled that an ongoing class action lawsuit against Ripple must remain in federal court, potentially giving the payments firm a slight advantage going forward. U.S. District Judge Phyllis Hamilton, of the Northern District of California, ruled Thursday that a class action lawsuit filed against Ripple and affiliated subsidiaries and individuals would not be shifted back to lower courts after lawyers for the company first moved to district court last year. This is a “minor but meaningful victory” for the firm, said Kobre Kim attorney Jake Chervinsky on Twitter. Stephen Palley, a partner at Anderson Kill, previously told CoinDesk that typically, corporate defendants in cases feel more comfortable with federal courts as lower court juries and judges are locally selected and thus could be more sympathetic to plaintiffs. Chervinsky agreed, noting that “Ripple fought hard” to keep the case at the federal court level. The case centers around XRP. The plaintiffs in the case allege that Ripple issued the cryptocurrency as an unregistered securities offering, a claim Ripple has frequently denied. 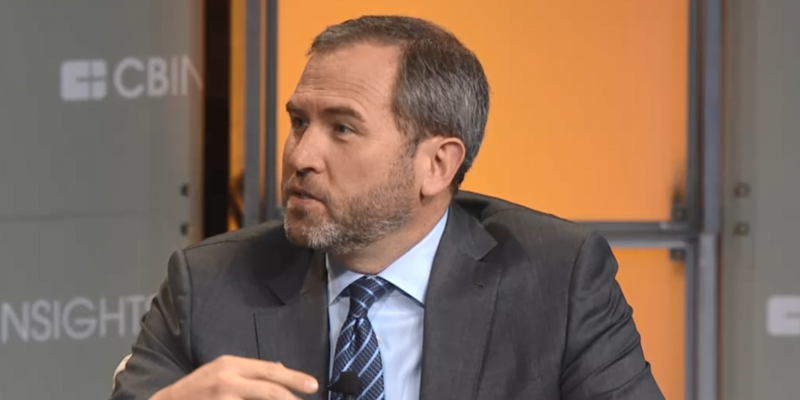 Ripple Labs, its subsidiary XRP II, CEO Brad Garlinghouse and a number of other individuals have been named as defendants in the case. Despite Ripple’s win on the jurisdictional question, “the case won’t go to trial for years, if it goes to trial at all,” Chervinsky told CoinDesk via email. The lawsuit will have to move past several other stages, starting with a likely motion to dismiss. “Ripple will argue that the complaint fails to state a legally cognizable claim as a matter of law, even assuming all the allegations in the complaint are true,” he said. Only then can the discovery process begin, which would include plaintiffs and defendants exchanging documents, answering questions and conducting depositions. The case would still have to sort through motions for summary judgment before the judge can determine whether a trial is necessary. It is entirely possible the case may end prior to this, however. Ripple and the plaintiffs may choose to settle the case, though Chervinsky does not believe this can happen in the immediate future due to procedural roadblocks. In particular, any settlement prior to class certification would result in individual payouts to the plaintiffs currently attached to the lawsuit. This would not prevent any future lawsuits from being filed against Ripple, and the investors suing the firm would likely not recover much of the funds. Should the parties settle after class certification, members of the class would waive their rights to another lawsuit, which the company would likely prefer. “As a result, there isn’t much incentive for Ripple or the plaintiffs to settle the case before the class certification stage,” Chervinsky said. According to Thursday’s ruling, the parties now have two weeks to meet and determine how they might want to proceed. The plaintiffs have 30 days to file an amended consolidated complaint, while Ripple has 30 days to file a motion to dismiss or notify the court that it does not intend to do so.